Avida Towers Altura – WELCOME HOME. Experience Southern living at its best. Experience the cozy and familiar lifestyle here in Avida Towers Altura. Where everyone gathers like family and every place is like home. And everyday is one great walk in the park. Look forward to spending Saturday nights at home. Only here in the South. Breathe in the fresh air of green outdoors. Bask in the warmth of a close-knit community. Live in a laid-back environment. Avida Towers Altura is strategically located within South Park District, a 6-hectare mixed-use development. A central park integrates a mix of residential, office and retail establishments, allowing you to enjoy the conveniences of modern living, all within walking distance. The expansive greenery allows you to live a more laid-back lifestyle conducive to wellness. Avida Towers Altura rises in the quieter side of a progressive city, along National Road, Muntinlupa City. Note: No representation is being made herein. The particulars, details, and visuals shown herein are intended to give a general idea of the project and as such are not to be relied upon as statements of fact. While such particulars and details are based on present plans which have been prepared with utmost care and are given in good faith, interested parties are invited to verify their factual correctness and subsequent changes, if any. The contents herein are subject to change without prior notice and do not constitute part of an offer or contract. 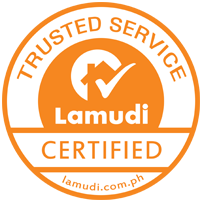 View our listings on Lamudi! OurHome is the app every Homeowner has been Dreaming of! WAIT, WHAT’S SO GREAT ABOUT THE SOUTH, ANYWAY?